I know I am jumping the gun just a tad, that spring is still a little ways away, but I am trying to do anything and everything I can do to bring it here to Washington. Maybe if I talk about spring produce, and roundup delicious recipes that celebrate that produce, maybe Mother Nature will decide it is time for spring to visit the PNW! PLEASE!! I am soooo tired of rain...drizzle....drizzle....drip....drip......AAHHH! Have you had anything close to springtime weather? Are you seeing signs of spring? I do have to admit that I have seen tulips and daffodils!! 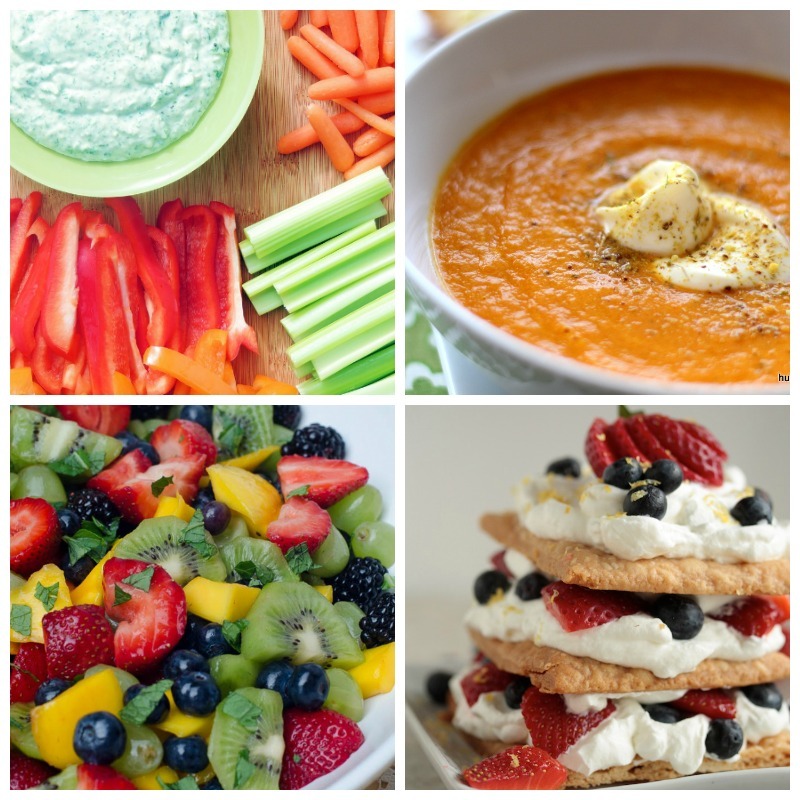 What is your favorite spring veggie or fruit? I have to say that seeing those bundles of asparagus (the thin stuff not the big ol' woody ones) makes my heart go pitty-pat. I love asparagus and could probably eat it every day! 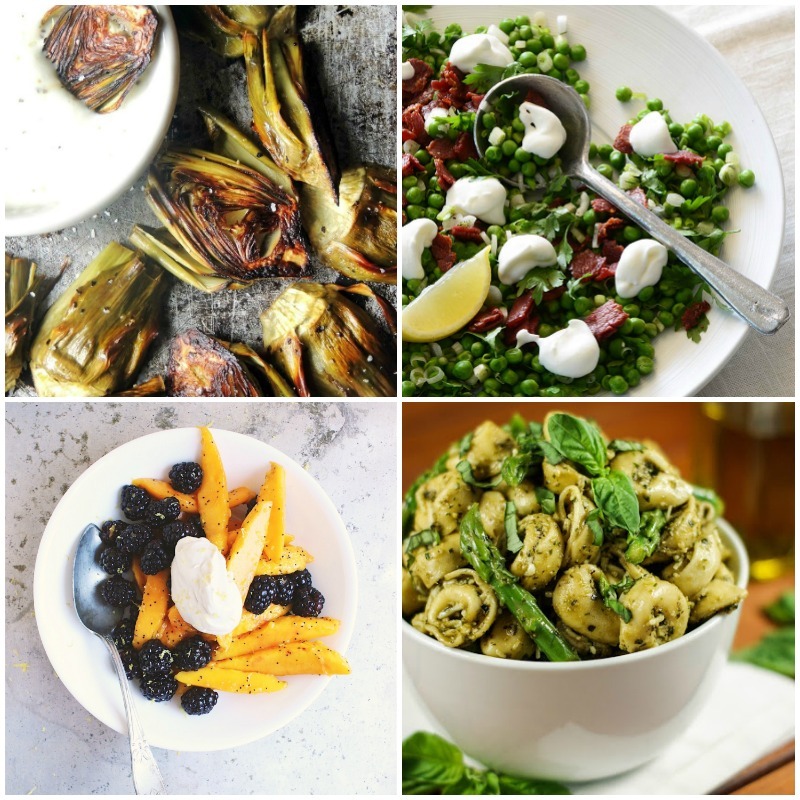 Aside from that, I love artichokes, mushrooms, peas, beets........oh let's just say I love it all OK? 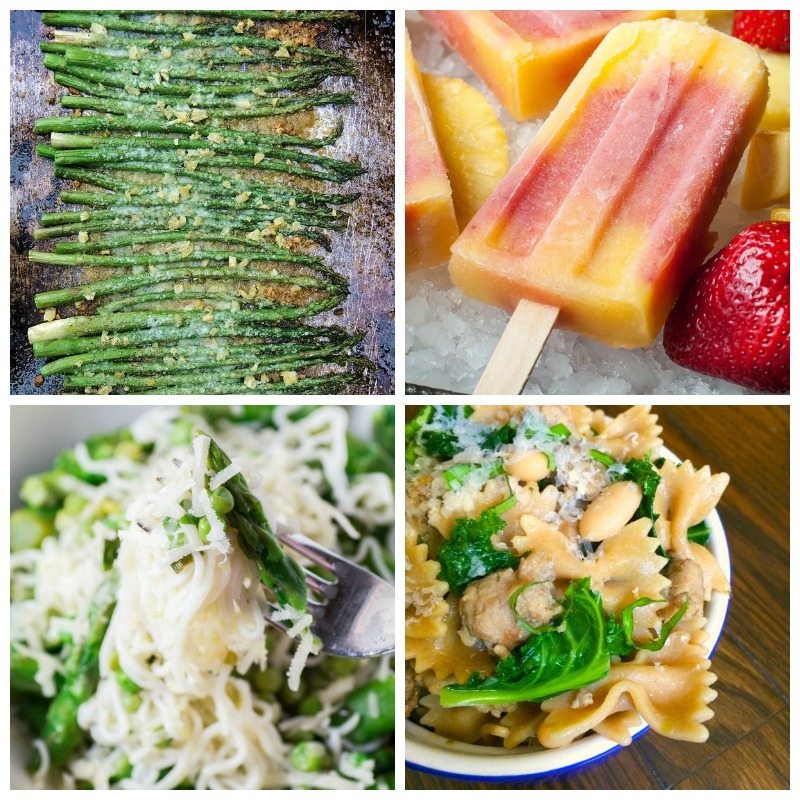 So here are 28 recipes to help us celebrate my favorite season of the year!! first of all - i can't wait for spring - second these deviled eggs are perfect for easter! i wish we'd a little rain, our first wildfire is raging less than a mile for my place but naturally i'm cruising awesome food blogs when i should be packing to evacuate. great ideas for spring the chia pudding and popsicles look lovely! I lived in San Diego for years so I know how those wild fires go. We actually had one come to the empty field right next to our apartment complex in Poway!! Sorry you are dealing with that, please be safe, but so glad you like the roundup!! I am so ready for spring!! 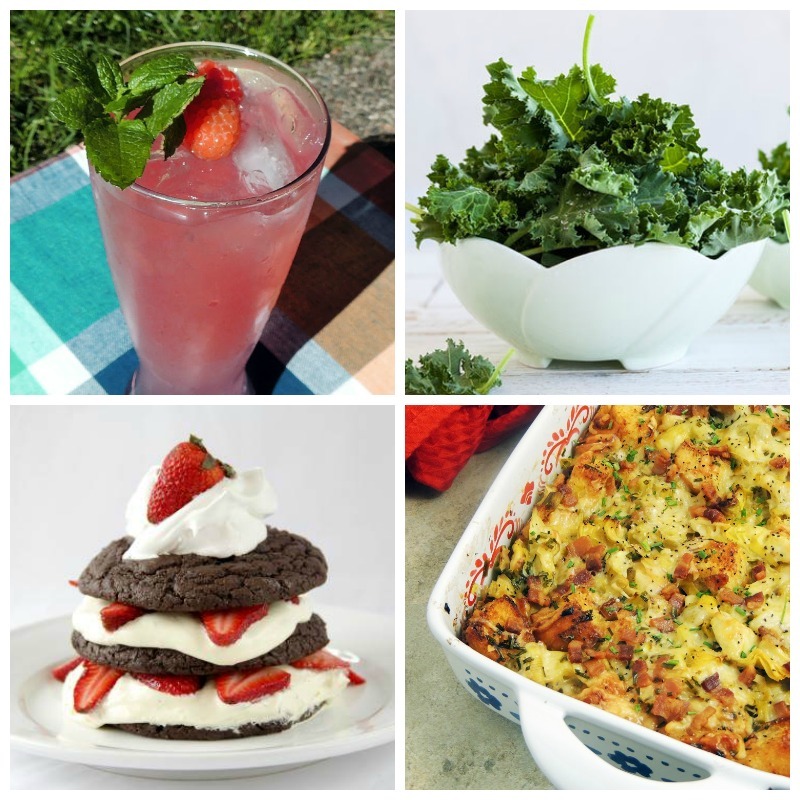 I'm saving a ton of these recipes, thanks for sharing! All of these look delicious. I love kiwi and watermelon in the Spring. When the baby asparagus is out I eat that breakfast several times a week :) I love it!! 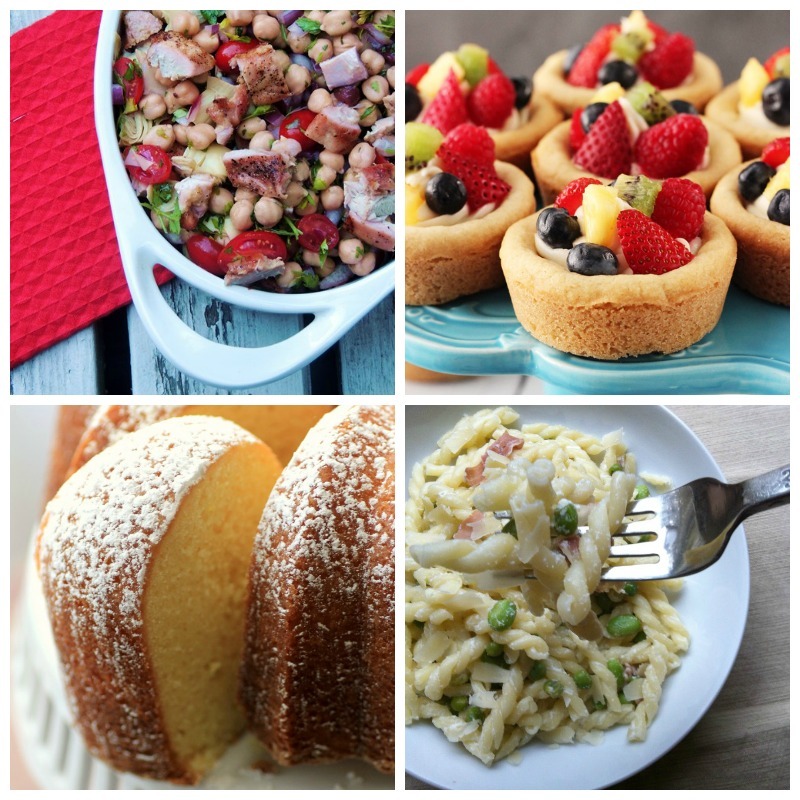 Mmmmm all of these recipes look and sound scrumptious! Can't wait to try a few of them! 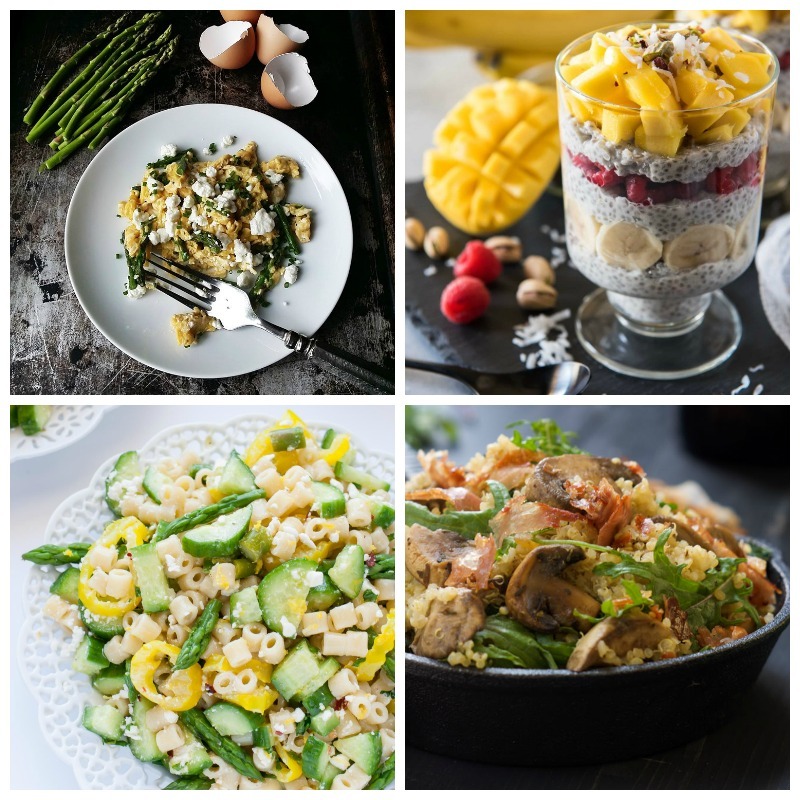 What a GREAT collection of spring recipes!! I have a bunch on this list that I'm going to try! ASPARAGUS for the win! Although, I will admit that I am not looking forward to spring because that means SUMMER is coming and UGHHHH! I don't like summer at all. Now these are some delicious sounding recipes I cannot wait for spring to come I've had enough of the snow. Oh my goodness. I just want to jump through the screen and sample every one of these. Thank you so much for the recipes! Wow.. Super healthy and Super yummy .. I cant believe you like all the goodness in the world ..lol! Yes!!! I am loving all these recipes. I need to try a few for lunch and dinner. 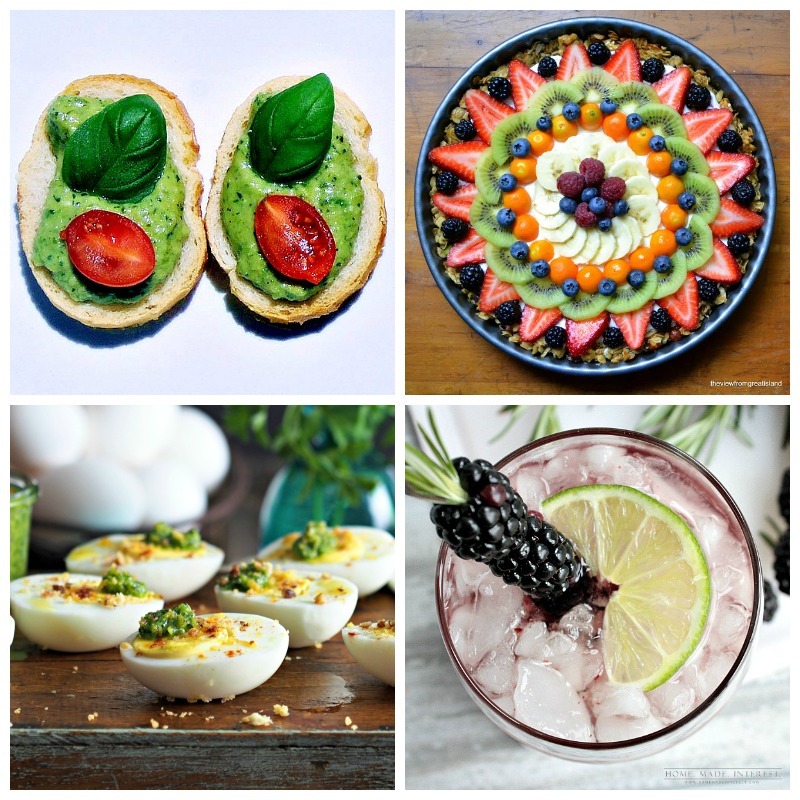 I am salivating looking at this yummy photos and can't wait to try it myself. I will try the Fresh Lemon Berry Napoleons first! All these dishes looks so delicious! I love fruit-themed dishes for spring! I am having trouble, because I want to EAT THEM ALL! I am writing these down, this blog always has wonderful recipes. Thanks for sharing. I love how colorful all these recipes are. That tortellini looks amazing! Also I would love to make my own popsicles. I need to try a few for lunch and dinner. I love how colorful all these recipes are. What a goood lists of recipes! I wanted to make a post like this but I dont really have a good source. I love everything here especially that its all about food. Everything looks delicious! I love spring produce and fruit!